Employee promotions are a powerful way to retain valuable talent and contribute to your organization's growth and success. When your organization is looking to hire, where do you turn first to fill openings? For a variety of reasons, the best place may be your own staff. For starters, current employees already have strong organizational knowledge, enabling them to hit the ground running. And because current employees are a known entity, they're not only more likely to be respected by colleagues when they move into new roles — they're more likely to increase engagement. 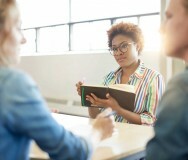 In addition, these eye-opening results don't begin to factor in the other benefits of promoting employees — chief among them improving morale, motivation, career satisfaction and job retention. In addition, internal promotions require no recruiting fees and are often associated with shorter training periods. In other words, you have ample incentive to promote from within. Ideally, internal recruitment begins with a recruiting policy that's fair and equitable to internal applicants. The policy may address job posting procedures, manager nominations, succession plans, and documentation of knowledge, skills and abilities. Make sure the policy is communicated openly and implemented consistently throughout the organization. Initiative. Strong performers are proactive, regularly asking for more responsibility, exceeding expectations and getting the job done. Problem-solving ability. Natural leaders don't let problems stand in their way. Instead, they come up with viable solutions. Respect. Because teamwork and collaboration are critical to organizational success, single out employees who work well with others and naturally command respect. Support. Effective leaders show genuine interest in helping others and a demonstrated ability to help colleagues develop. Composure under pressure. Larger organizational roles invariably come with more responsibilities, so look for employees who have a proven ability to manage stress. 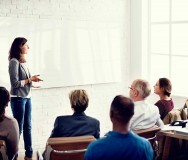 Even if an employee demonstrates the above qualities, chances are some form of training will be needed to address knowledge gaps and move to the next level. That's where leadership development training comes in. Ideally, development opportunities should be made available to employees throughout their tenure with your nonprofit. This is a powerful way to boost morale and productivity and foster a sense of loyalty while furthering organizational success. The goal is to develop employees in ways that align with their career goals and your organization's mission. And you can start by taking simple steps. How would you rate your overall job satisfaction? How would you rate your job performance? What motivates you most career-wise? Examples may include opportunities for advancement, rotational assignments to broaden insights and skills, acquisition of new skills, money or other forms of compensation, and work/life balance. How can your manager or other leaders facilitate achieving those goals? Also, because most high performers are generally highly motivated and have a clear sense of what needs to be done and how to achieve it, resist any temptation to micromanage. Instead, get involved only when necessary. This will demonstrate your trust and bolster the employee's sense of responsibility and value. One note: While employee development might seem daunting if your organization is stretched thin in terms of people and financial resources, bear in mind that neglecting top performers can have its own price — including the decision to work elsewhere. And that could put you in a position of needing to make a counteroffer or, in a worst-case scenario, scrambling to find a replacement. A commitment to promoting internally starts at the top and requires a long-term perspective and support from the board — such as supporting mentorships or other development initiatives and approving funding or fundraising activities for staff development. Filling the pipeline with skilled employees take time, but there's little doubt that the effort is worthwhile. Staffing nonprofits is tough enough — and retaining strong performers is even tougher. Employee promotion is a powerful way to retain valuable talent while contributing to your organization's growth and success.